Published with the permission of The Shuttleworth Trust, 2014.
or e-mail www.shuttleworth.org price £4.50. The booklet is well-illustrated throuthout with black and white and coloured photographs of Dorothy’s journey and ephemera – a Japanese ship’s menu, their guide’s business card, an ornate invitation from the Minister of the Imperial Household Agency to the cherry blossom viewing party at Hamarikyu Gardens. 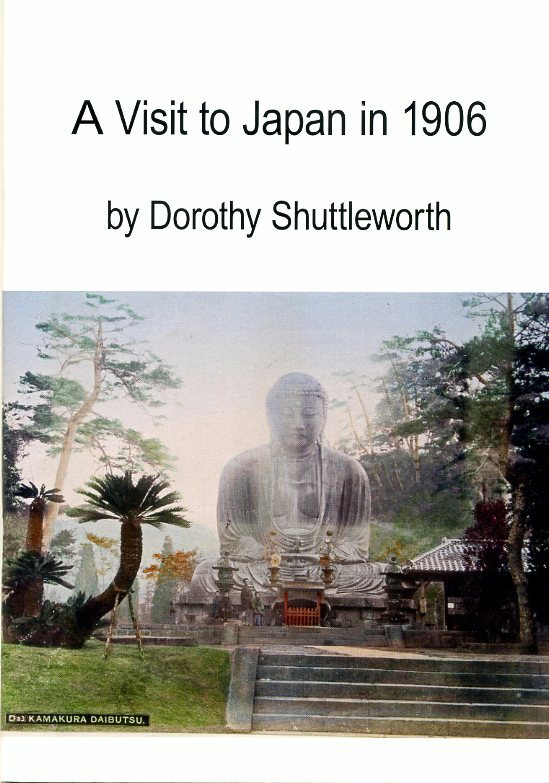 In addition to Marion’s preface, which sets the context for Dorothy’s trip, there is a short piece by Dr Ian Chrystie on Thomas Bates Blow FLS, a great collector and expert on Japanese art, whom she met; a guide to Japanese plants in the Swiss Garden at Old Warden; a brief account of the Japanese Chin breed of dog (a favourite companion) by Liz Rushton, Secretary of the Japanese Chin Club.